Patient safety advocate organization Pulse Center for Patient Safety Education & Advocacy is to hold a fundraising Zumba class to bring attention patient safety education & advocacy. WANTAGH, N.Y., February 13, 2018	(Newswire.com) - Members of the public are invited to come together and "Zumba For Patient Safety!" On March 31, 2018, for the second year, Primal Athletics — located at 80 Lake Avenue S, Unit 11, Nesconset, New York 11767 — will be hosting a fundraiser for Pulse Center for Patient Safety Education & Advocacy (CPSEA). The aim is to bring the community together to celebrate patient safety through exercise, friendship and fun. Marissa Abram, PMHNP-BC CASAC, Ph.D. board co-chair of Pulse CPSEA, is organizing this event. Abram, a nurse practitioner specializing in addiction and dependency, believes that we need to celebrate every chance we get. "What's more fun than Zumba, especially when it benefits patient safety?" she asks. "I find release and comfort when I Zumba," she adds, "and I hope people who may be under stress will come and find the same relief. 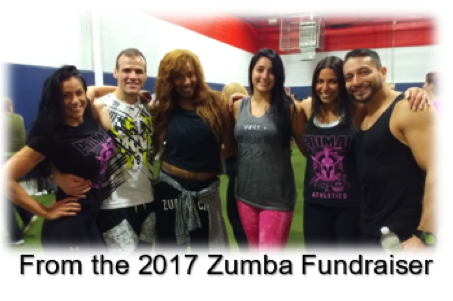 We encourage first-timers to come and have fun, and we hope medical professionals from all over Long Island will Zumba for Patient Safety together." Music will be provided by DJ Kibret. There will be great raffle prizes too, and all proceeds will benefit Pulse Center for Patient Safety Education & Advocacy. Stop in for the Zumba or stop in to learn about Pulse CPSEA! $15 in advance $20 at the door. Register or learn more at www.pulsecenterforpatientsafety.org or call (516) 579-4711.